Chapecoense played their first match since the plane crash that 71 people, including 19 players and staff making their way to the first leg of the Copa Sudamericana final in November. A total of 22 new players and a new manager have been brought in the last month and a half so the club could carry on. On Saturday, Chapecoense hosted Palmeiras in a friendly and before the match, they had the three players who survived the crash—Neto, Alan Ruschel, and Jackson Follmann—lift the Copa Sudamericana trophy, which was awarded to the club at the behest of their opponents, Atletico Nacional. Winners medals were also awarded to the players and the families of those who died, who received half of the money raised by the match. After falling behind early in the match, the rebuilt Chapecoense scored an equalizer in the 14th minute, finally giving the club something to celebrate. The match was stopped in the 71st minute to honor the 71 people who died in the crash. After resuming, the match eventually ended in a 2–2 draw. 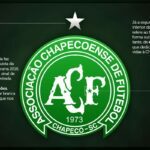 Though the day was more of a reminder of what was lost than a glimpse of what’s to come, inspiration should be taken from how Chape were able to not only survive such an overwhelming tragedy and rebuild so quickly, but to help take care of those who suffered unspeakable losses while doing so.